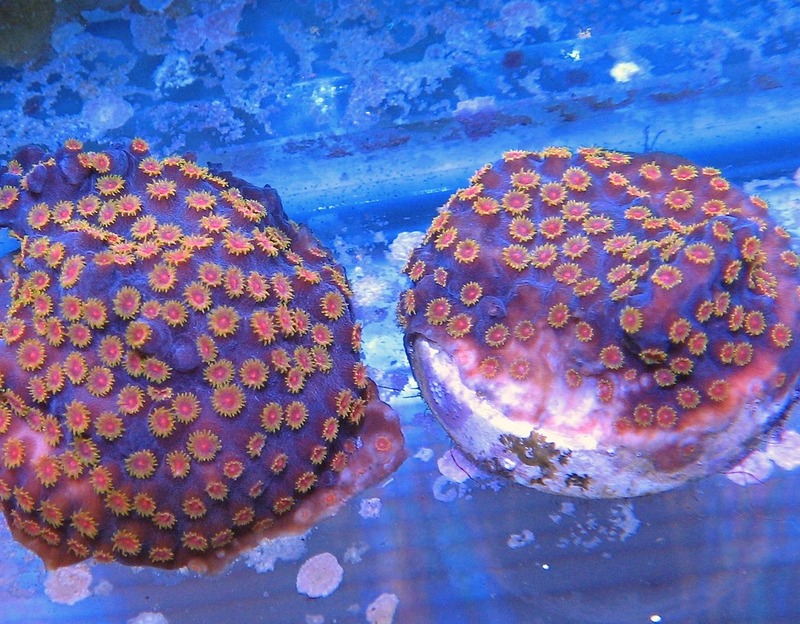 Yellow polyps with red centers on a velvety purple base. Perhaps the nicest Cyphastrea I've seen, great for adding color to shady corners of your tank. 1/2-3/4" frags encrusted on 3/4" plugs.